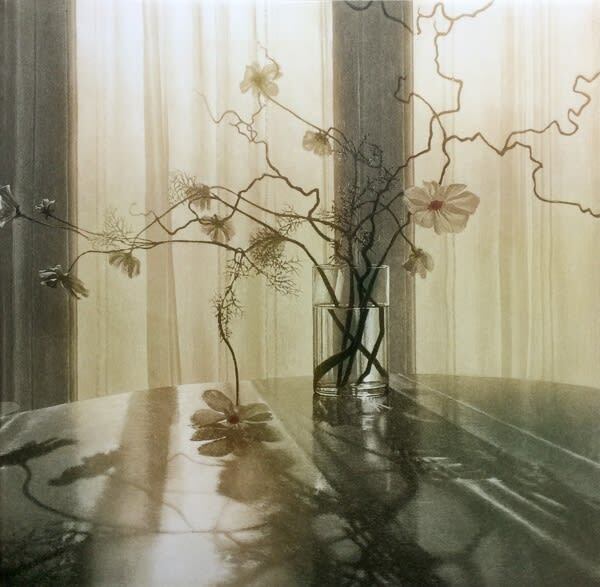 Acclaimed printmaker Anja Percival was presented with the Haigh Award at Printfest 2017 for her recent etching 'Window Light XIV'. Printfest is UK's foremost printmaking festival, providing the opportunity to see the best of British printmakers under one roof. Anja's beautiful, atmospheric etchings explore variations in light, form, texture & colour to magnify the moods and sensations of urban environments as well as quiet domestic interiors. Drawing the composition by hand directly onto the copper plate, Anja's printmaking has a precise yet soft and velvety quality. Subtle tonal differences are created by applying the ink onto the plate in a painterly fashion (à la poupée), allowing her to focus on the areas that remain light instead of building up the image with dark line and shading. 'Window Light XIV' is available at the gallery.